Land Rover has confirmed that the Range Rover Evoque Convertible will go on sale in 2016. The car is currently in its testing phase and is set to appear at the Geneva Motor Show. It will be built at the Halewood plant alongside other Evoque models. Details are currently thin, but you can expect the engine range to be similar to that of the coupe and five-door. That means new, efficient Ingenium engines in both petrol and diesel forms. It’s too early to know how much the Evoque Convertible will cost, but it’s safe to assume it will be pricier than its five- and three-door stablemates. We expect it to be priced from around £35,000. 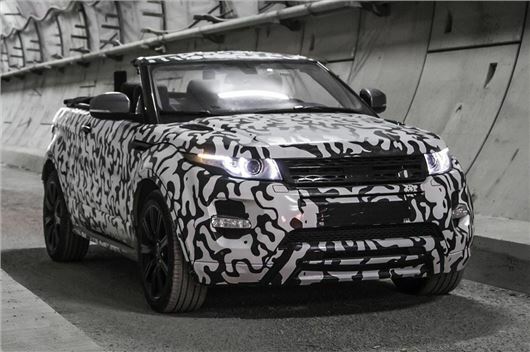 Land Rover revealed the Evoque Convertible in a short video showing it being tested under the streets of London, in the Crossrail tunnel network.